The 'Shazam!' sequel will reportedly see writer Henry Gayden return. David F. Sandberg and Peter Safran - the respective director and producer of the latest DC Extended Universe film - recently confirmed they want to continue the story of Zachary Levi's Billy Batson after his origin story which has just proved a major hit at cinemas. When the pair were asked whether they were ready to take on a follow-up to 'Shazam! ', Safran quickly replied: "Absolutely!" And now, according to The Wrap, Gayden is already working out a deal to carry on the journey of 14-year-old Billy, who can magically transform into the adult superhero Shazam simply by shouting the word - an acronym of the ancient world gods and historical figures: Solomon, Hercules, Atlas, Zeus, Achilles and Mercury - and uses his powers to defeat the evil Dr. Thaddeus Sivana (Mark Strong). his spin-off movie 'Black Adam' in "about a year". The 46-year-old actor - who served as an executive producer on 'Shazam!' - is playing Black Adam in an upcoming movie based upon the character, who is a recurring enemy of superhero Shazam in the comic book series. Johnson has been developing the project for the past 10 years but he has just revealed that filming is set to begin in the next 12 months and he can't wait to get started. Speaking in an Instagram video, he said: "The challenges and the struggle that we were having and that was gnawing at my gut is that we were trying to tell two origin stories in one script. Black Adam was originally slated to appear in the 'Shazam!' 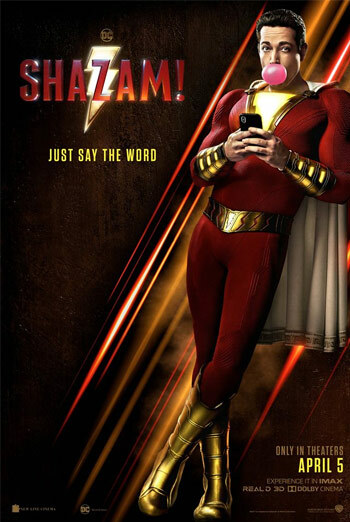 movie but Sandberg decided against making the character the main villain because he needed his own origin story and he wanted his film to be "about Shazam". The movie's antagonist was Dr. Sivana.